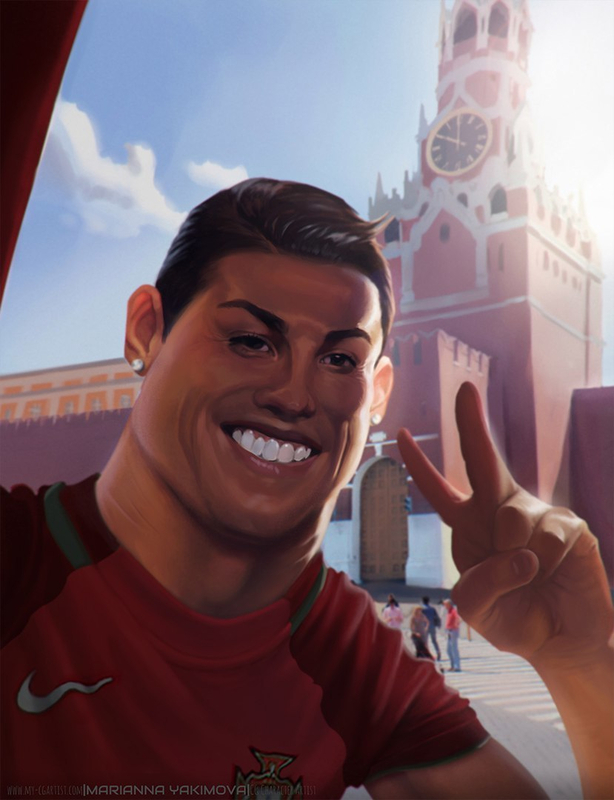 Fan-Art of Cristiano selfie next to Kremlin. Heading for another Fifa World Cup. If you like my work, please support me with a "like"